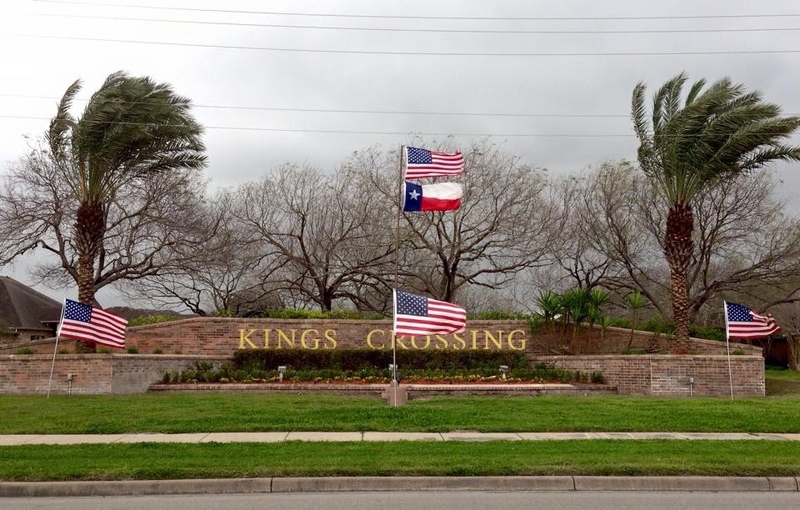 The Kings Crossing Subdivision is a residential, single family home community located on the south side of the City of Corpus Christi. Since its initial development in 1985, the largest of the three HOAs at approximately 1,357 homes have been built and the community has emerged as one of the most sought after addresses in Corpus Christi with its tranquil location situated along Oso Creek which meanders along its entire southern border. The neighborhood itself is comprised of shady, tree-lined streets and stately homes set amid an abundance of green spaces like Saint Denis City Park. The subdivision is bordered on its three other sides by S. Staples St. on its West side, Yorktown Blvd. on its North side, and Cimarron St. on its East side, with easy access at multiple locations. From its prime location, ready access is available to major employers, retail centers, restaurants, and points of interest such as the South Texas Botanical Gardens & Nature Center. Situated in the Corpus Christi Independent School District, the community's children attend either Mireles Elementary School, Kaffie Middle School, or the newly constructed Veteran’s Memorial High School. The City of Corpus Christi is continuing to develop to the south. The city's robust economy, new businesses, restaurants, and entertainment venues are readily accessible, making ownership of Kings Crossing homes extremely desirable. Master Kings Crossing HOA. This HOA is by far the largest of the three HOAs. Extensive care and thoughtful planning have gone into making the Kings Crossing subdivision an attractive and safe place to live. This inviting, family oriented neighborhood is well-maintained because it is a deed-restricted community with an involved association of homeowners led by the Master Board of Directors. The board meets monthly and all subdivision residents are welcome to attend the meetings. While the large majority of Kings Crossing is not gated, two gated communities (The Domain and Garden Court) are located within the subdivision. Both have their own HOAs and pay additional dues. These two HOAs are subordinate to the Master HOA which governs over all of Kings Crossing. Master Kings Crossing HOA dues are currently $244 annually. These dues support the operational & management budget for the Master Kings Crossing HOA and provide the security and administrative costs of our gated communities. In addition to the Master Kings Crossing HOA annual dues, the two gated communities charge supplementary dues in sole support of their respective communities (currently an additional $956 annually (total = $1,200 annually) for The Domain and $440 annually (total = $684 annually) for Garden Court). Garden Court HOA - This gated community is located at the southeast end of Kings Crossing quietly tucked away along Garden Court Drive and the tributary ponds of Oso Creek. This well-maintained "village" of 54 homes is beautifully designed with friendly neighboring homes arranged in an attractive cul-de-sac surrounded by an abundance of green space that includes a community gazebo which is a popular gathering place for neighborhood functions. In addition to being a part of the larger Master Kings Crossing HOA, Garden Court has its own HOA Board, an additional set of bylaws and deed restrictions, and is headed by a board of five directors who are also homeowners. The board meets monthly and all Garden Court residents are welcome to attend the meetings. 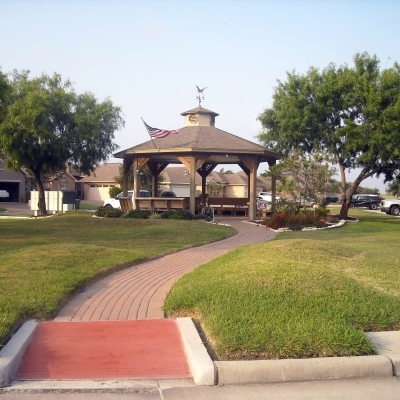 The homeowners of Garden Court also own their streets, common area grounds and gazebo. Their privately-owned security gate is accessed by code and there’s the added safety of regular security patrols provided by the Master Kings Crossing HOA. The Domain HOA - The Domain is a gated community located in the heart of Kings Crossing. It is designed as a loop around two ponds and along the streets of Bar le Doc East and Bar le Doc West. This community is surrounded by ample privately-owned green space and large water features along its eastern side. The 97 homes here are some of the stateliest in all of Kings Crossing and are constructed on generous lots. In addition to being a part of the larger Master Kings Crossing HOA, The Domain has its own HOA Board of Directors, an additional set of bylaws and deed restrictions, and is headed by a board of three directors who are also homeowners. The board meets monthly and all Domain residents are welcome to attend the meetings. The homeowners of The Domain also own their streets and common area grounds. 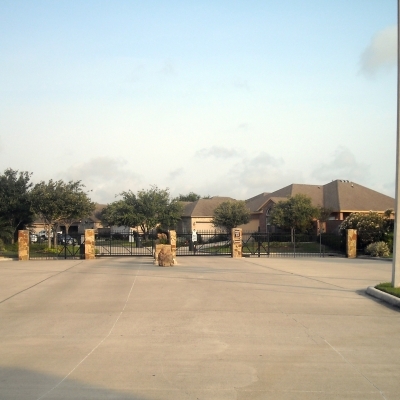 Their privately-owned security gate is accessed by code and there’s the added safety of regular security patrols provided by the Master Kings Crossing HOA. Kings Crossing, along with all it’s European street names was so named by the Tucker family who once owned the property upon which Kings Crossing was built. The family came from England and that’s the European link. The logo depicts the heads of three kings traversing an old stone bridge. 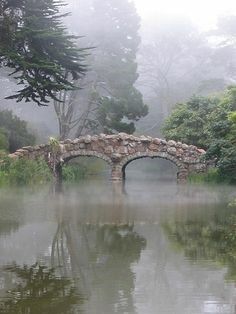 These bridges, like the one depicted in the picture on the left can still be seen throughout Europe in many varieties.